As a family we love to eat out at restaurants and its definitely not stopped us since having children. I think its good for them to learn to sit and wait for their meal at an early age. If you need any tips I shared mine here. 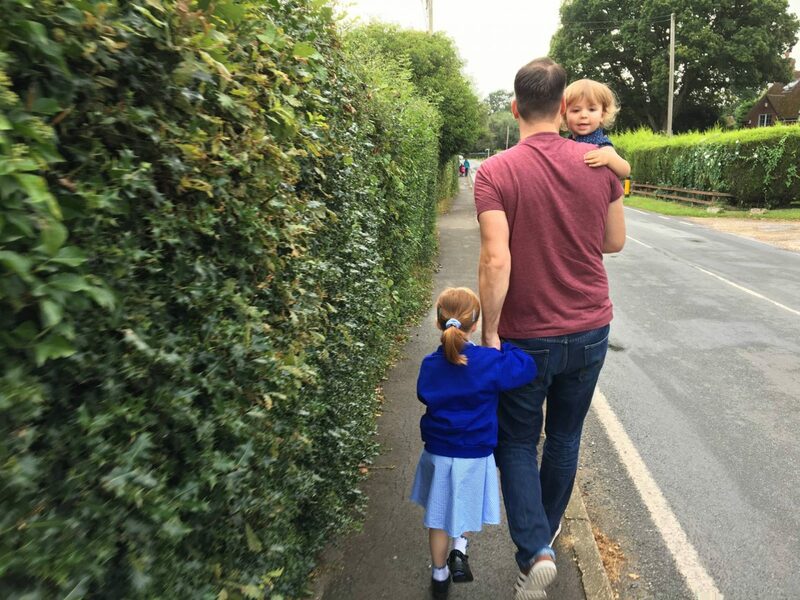 A couple of weeks ago it was Alice’s first day at school, it fell on a Friday which was perfect for us, as Andy works from home and he was able to come and take her to school for the first time. It was a family outing! We thought it would be nice to celebrate her first day with a family meal out in the evening. With Andy at home it meant no drive home and we could go as soon as he finished. 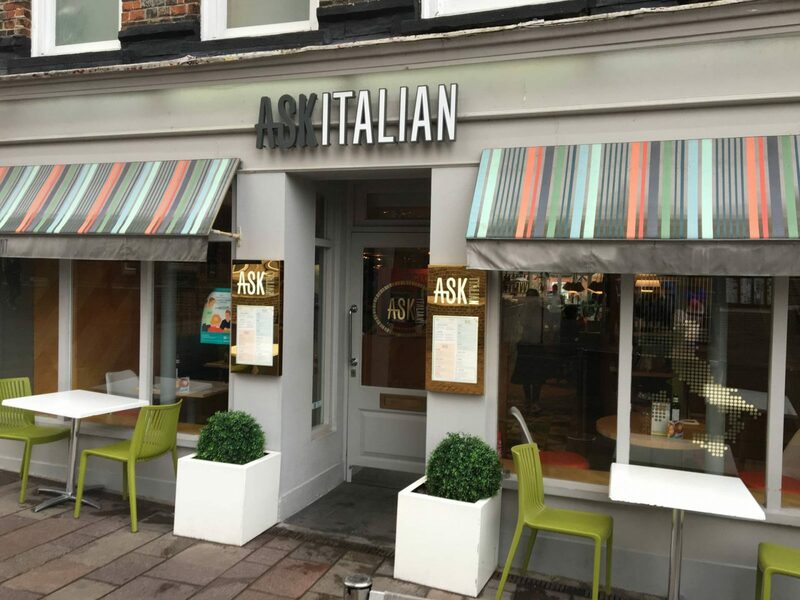 We decided to go to ASK Italian, we hadn’t taken the girls there before and had heard good things about their children’s menu. When we arrived we were asked where we would like to sit, I always like it when this happens as it gives you chance to sit where you think would be best for your own children. Once we were seated, the girls were given colouring to do which they always enjoy. 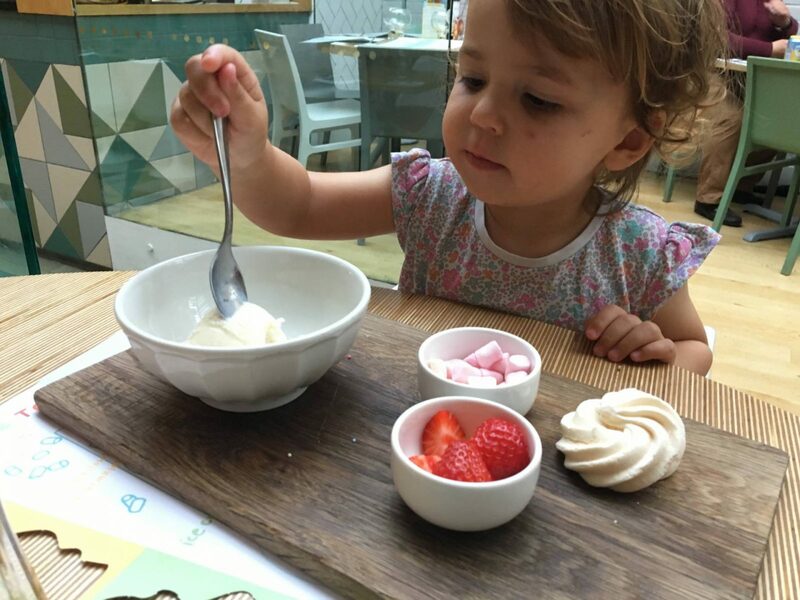 The children’s menu was £6.95 and included a starter, main, dessert and a babyccino. You have to pay extra for a drink for them. 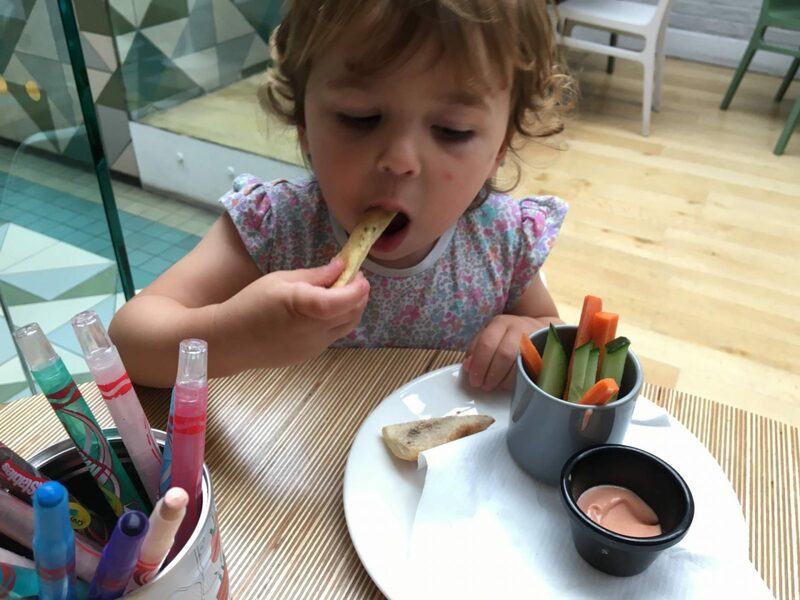 The girls starter was vegetable sticks with garlic bread soldiers and dip. The waiter brought these over really quickly, which I am always impressed with. Andy and I didn’t have a starter, we were saving ourselves for dessert. 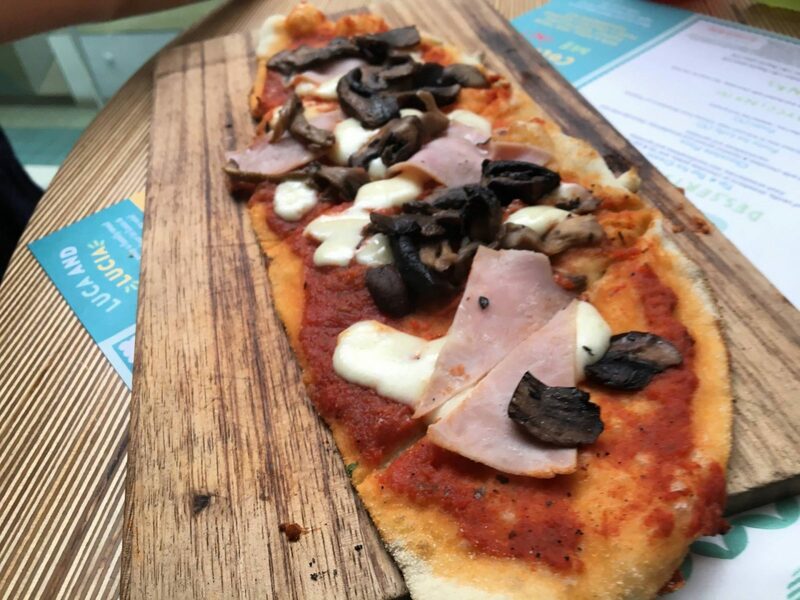 For main course the girls had the choice of pizza or pasta. Both my girls love pizza, just like their daddy and they choose ham and mushroom. It was a great size and Holly managed to eat most of it! 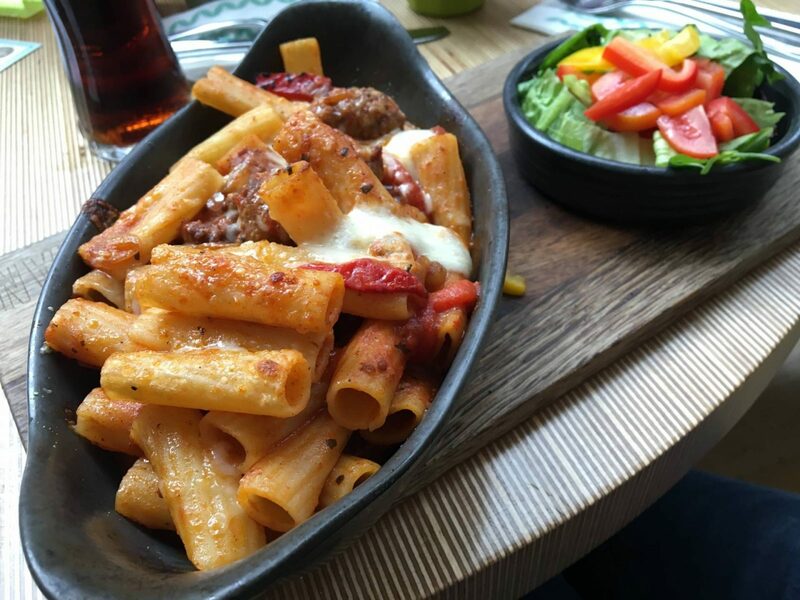 I went for the Rigatoni Al Manzo Piccante, which is beef meatballs, beef and port ragu, fresh chillies, roasted peppers and caramelised onions, topped with mozzarella and grande padano cheeses. It was delicious, one of the nicest pasta dishes I’ve had in a while. 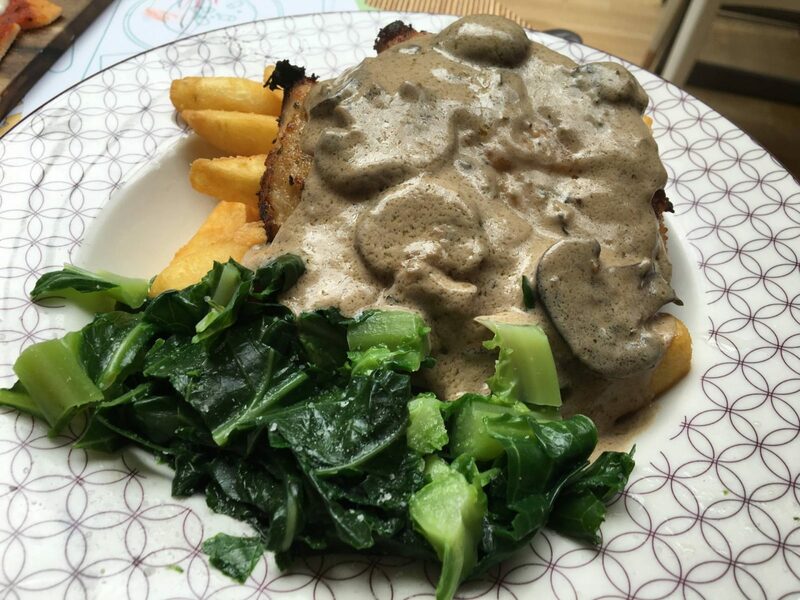 Andy choose the Pollo Milanese, which is breaded chicken breast, seasoned and roasted in this Milan-inspired dish. Served with mushroom sauce, greens and chips. He said it was really nice and very filling. For dessert the girls went for the Tip and Top Ice Cream which comes with a scoop of ice cream and meringue, fresh strawberries and mini marshmallows. I think its one of the best ice cream desserts I’ve since for them. They loved adding all the bits to their ice cream. My husband is a massive chocolate pudding fan and when he saw their new dessert, Chocolate Lava Mountain, there was only one choice for him. 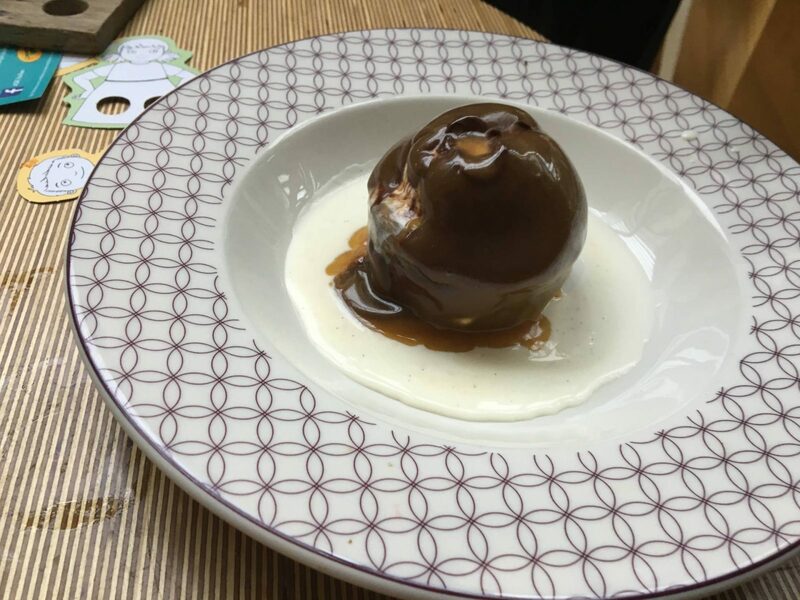 Hot toffee sauce is poured over the dark chocolate cup at your table, revealing a hidden scoop of vanilla gelato on top of a hot chocolate fondant. It was quite something to see it ‘explode’ when the waiter poured the hot toffee sauce over the top. He loved it so much, I didn’t even get a little taste! 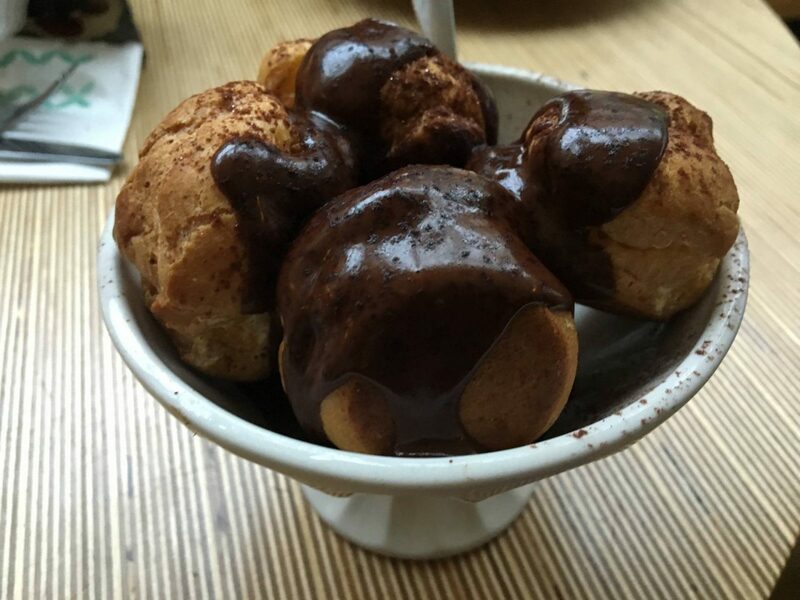 One of my favourite desserts is profiteroles and they had ice cream profiteroles which I couldn’t resist. 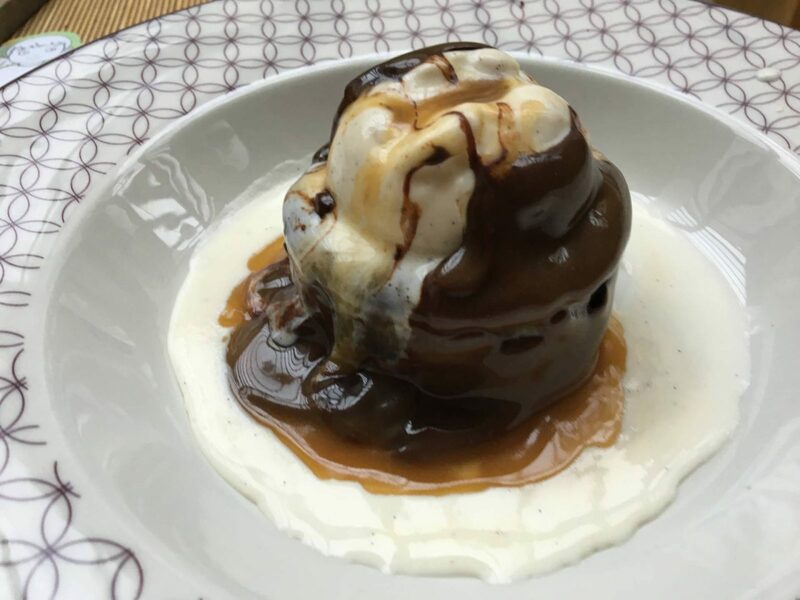 They were filled with Italian style ice cream and topped with a rich hot chocolate sauce. They were very yummy! The waiter was brilliant throughout our meal, talking to the girls and answering Holly’s endless questions. It really makes a difference when the staff embrace your children, it can take out the stresses that can come with taking little ones to restaurants. We all had a lovely meal and left with full stomachs. We will definitely be returning to ASK Italian again, even if its just so I can have my own Chocolate Lava Mountain, as I did have dessert envy! Disclosure: We paid for our own meal. 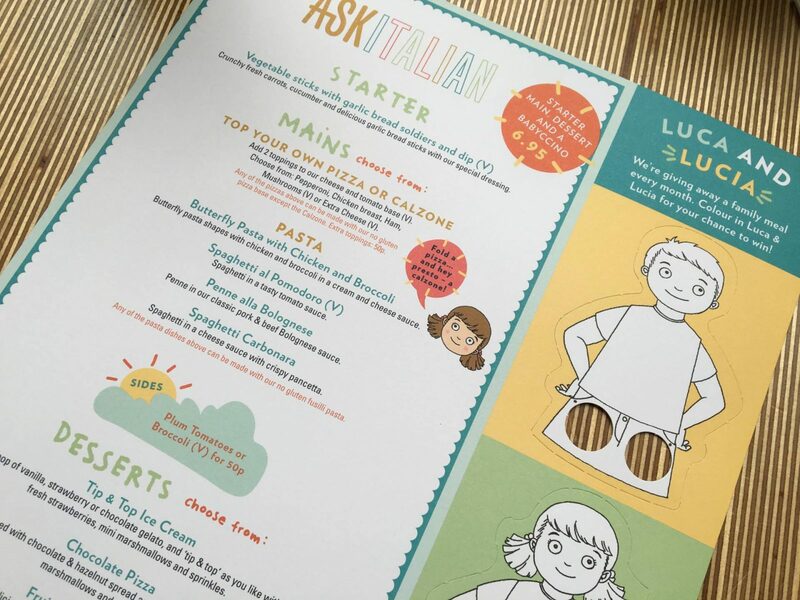 I am sharing this with you, as we had a lovely family meal and its always nice to find good children’s menus. 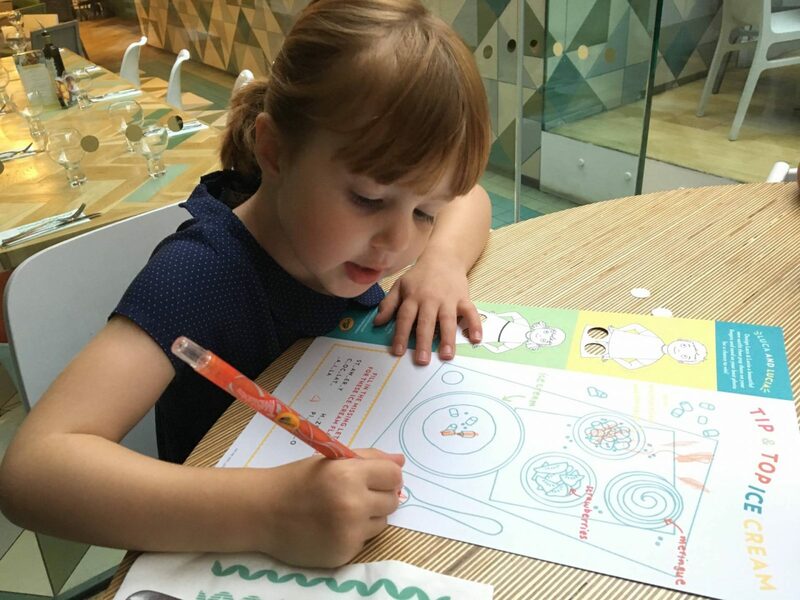 Ask is one of my favourite places to eat with the girls, it’s so child friendly and I love that they bring them colouring as soon as they arrive to keep them occupied. I haven’t taken my daughter to Ask but I may have to. The food has never disappointed us there! i wish we had restaurant chains like these where we live.